Incorporating an automatic scan system, the chair is able to perform micro adjustments to the shoulder area. 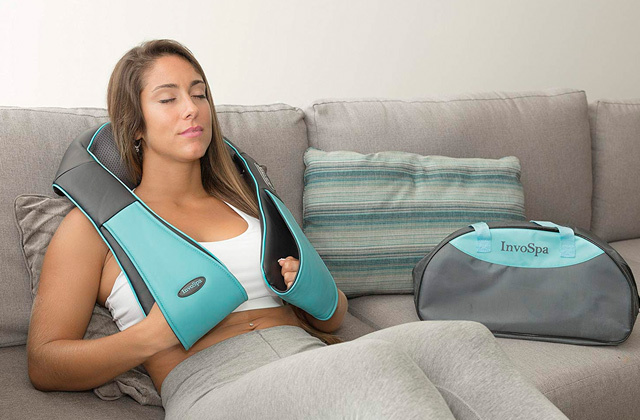 The air pressing massage covers the whole arm. The airbag and vibration massages to your thighs and buttocks make you feel lighter, relaxed, and, afterwards, more agile. The chair is relatively large, so it takes up quite a bit of space. HomCom UK71-00460331 isn't small, lightweight, or particularly affordable. Nevertheless, this is still the best massage chair here. It has many more massage programs to offer. It is able to target every part of your body, not just the usual areas. It might just be more effective than a professional masseuse. Based on the user's height, the self-stopping function automatically and, more often than not, perfectly adjusts the massage heads position. You can use 2 massage modes at the same time. Use Flapping and Kneading modes and you get that perfect combination of slight blows (flapping) with kneading movements. The headrest is a little thin. 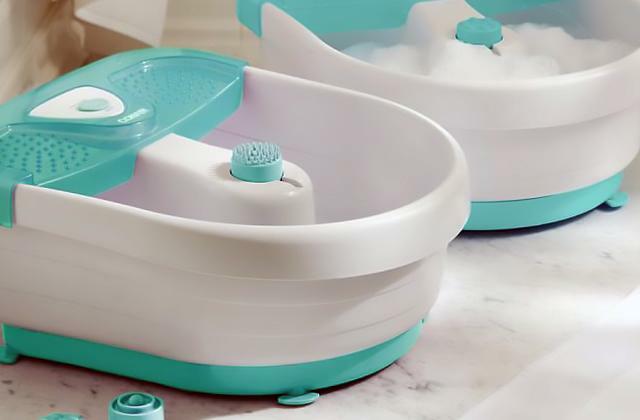 Global Relax Karma is easily one of the most complete and well-balanced massage devices on the market today and definitely one of the better Global Relax products. It comes equipped with 5 automatic and 3 manual massage programs. The chair can adjust to any user, no matter the stature. The model does a good job replicating the Shiatsu finger pressure massage. It helps you lose puffiness, reducing the feeling of fatigue and improving your blood circulation. The heating function will also improve your blood circulation, making you feel more relaxed and energetic. The remote control pocket is located on the interior part of the side panel. 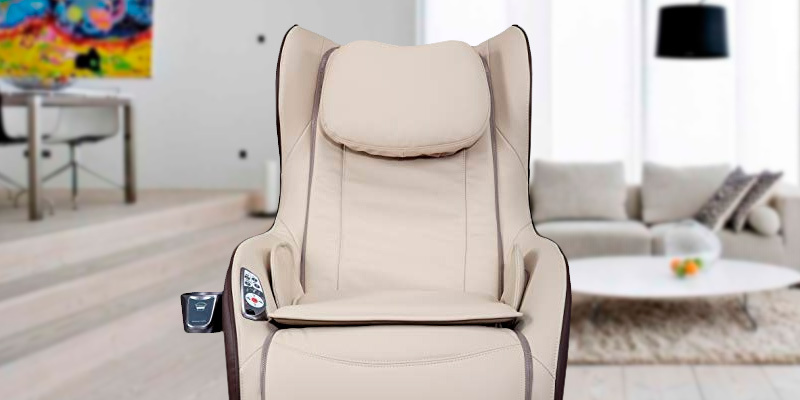 HomCom UK71-00290331 is an affordable, mid-range massage chair that has the functionality and performance capable of rivalling high-end models. Among other things, this device automatically detects your shoulder position and performs micro adjustments to effectively target every problem area. You can choose between 3 preset massage programs and set a timer to 15, 20, or 30 minutes. After that, you can kick back, relax, and enjoy the proverbial show. The pressotherapy massage on the back is highly effective and so is the air compression (airbags) massage on the hips, buttocks, and thighs. The plastic parts are susceptible to scratches. Global Relax Guru, measuring just 90 x 60 x 100 cm in overall dimensions with 30 kg in the weight department, is the most compact massage chair on this list. With its high-tech aesthetic and many functions, the model will fit technophiles as well as people who simply enjoy a quality massage therapy at home. 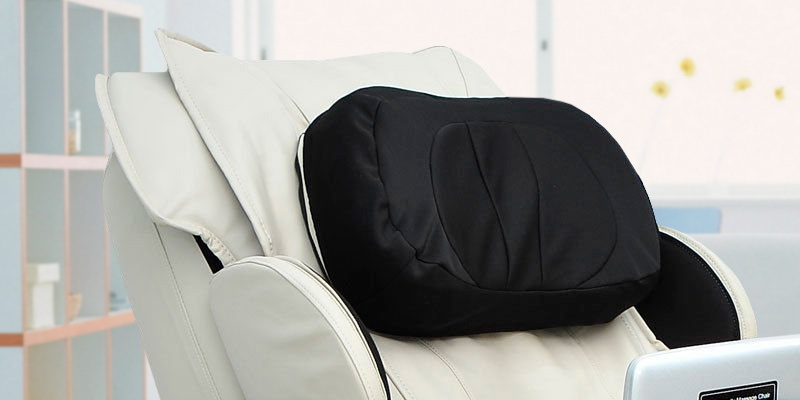 With a genuine leather cover, this massage chair feels as fantastic as it looks. The cover is removable and easy to clean. There's a cup holder next to the control panel. 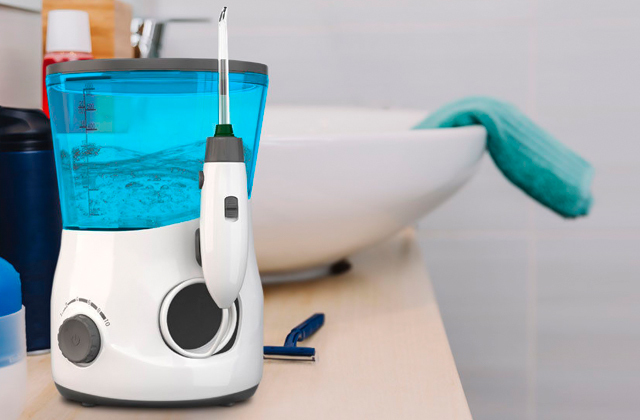 The model comes equipped with a USB port and a Bluetooth speaker. Its power consumption never goes above 60W, so it won't rack up your energy bills. The side panels are really narrow. There's a lot to like about MAXXUS MX 7.1 and not a whole lot to dislike. The chair looks fantastic, elegant and modern. It has a number of little details and design solution going for it. The model isn't too demanding maintenance-wise. Plus, equipped with transport wheels, you can easily move it around the house. HomCom UK71-00460331 won't just be able to replicate and rival that authentic hand massage experience, it might just be able to surpass it. See, no matter how experienced and skilled the massage therapist is, that person has at most 2 arms, with 2 hands and 2 elbows. That's not the case here. Here, we have a machine that's equipped with every mechanism, every technology, every component in the book. There isn't a single area of your body it won't be able to target. It isn't a flawless product, of course, that's not what we're implying here. The whole thing weighs 132 kilograms, much heavier than your average massage chair. Though not as huge of a difference, it is also larger than most of these chairs on the market today. Then again, does it really matter that much? Will you be moving it constantly from one room to the other? Probably not. Besides, its functionality makes the already barely significant shortcomings all the more irrelevant. For example, the Smart Leg Position Adjustment function works wonders hitting every spot and changing your legs' position to maximise massage efficiency without making you feel uncomfortable. 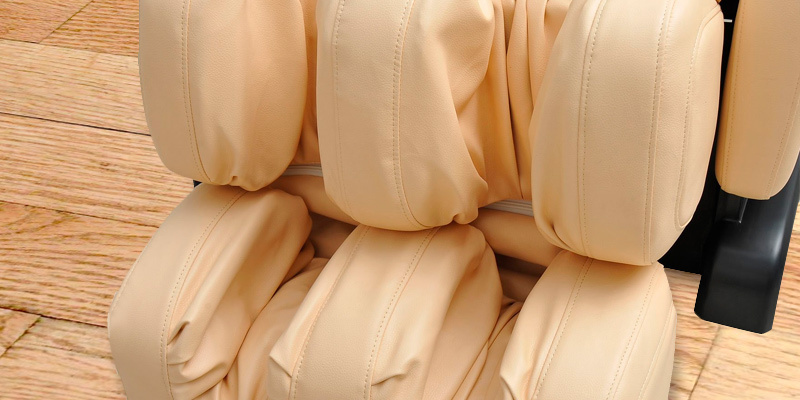 The airbags there will be able to massage your calves and feet the way no professional would be able to replicate. More often than not, shoulders are the biggest problem area. After all, they carry the biggest loads. You can't just bombard them with massage nodes but you cannot be too gentle either. This chair understands that. Incorporating an automatic scan system, it is able to perform micro adjustments. Through the multifunctional LCD screen, you'll be able to control it the way no other chair can be controlled. The zero-gravity function, while not necessarily a groundbreaking technology today, deserves a spotlight as well. In case you aren't familiar with the principle, the function works more or less like that: when you sit down in the chair and recline it, this function does so in a way that makes you feel weightless, a feeling similar to what astronauts experience in zero gravity. Long story short, it makes the massage more effective, all while promoting circulation and helping your spine relax. There's a lot we can say about this model. We can talk about the air pressing massage that covers the whole arm. We could certainly mention the airbag and vibration massages to your thighs and buttocks that make you feel lighter, relaxed, and, afterwards, more agile. We definitely shouldn't gloss over its 4 automatic and 18 manual massage programs. But we do not want to bore you with the details here. Long story short, HomCom UK71-00460331 isn't small, is hardly lightweight, and is easily the most expensive model on this list. Nevertheless, this is still the best massage chair here. It has many more massage programs to offer. It is able to target every part of your body, not just the usual areas. Global Relax Karma doesn't really look like anything out of the ordinary. We're not saying that it looks bad, of course, just that you'll hardly be able to tell this chair and its subpar competition apart at first glance. That being said, the difference here is staggering. This chair doesn't just have them beat in the functionality department, it is also a much more effective device in the first place. But let's pivot a little and go back to the model's appearance. Though, again, it doesn't look like much, it isn't like the chair doesn't have anything going for it there. See, there are two layers here. The first, external layer is transparent. Made from PU, a fabric that protects the model from potential external agents like stains, dust, and sunlight, this layer is responsible for maintaining the product's condition. On top of that, there's a thick, porous leather fabric lower layer. 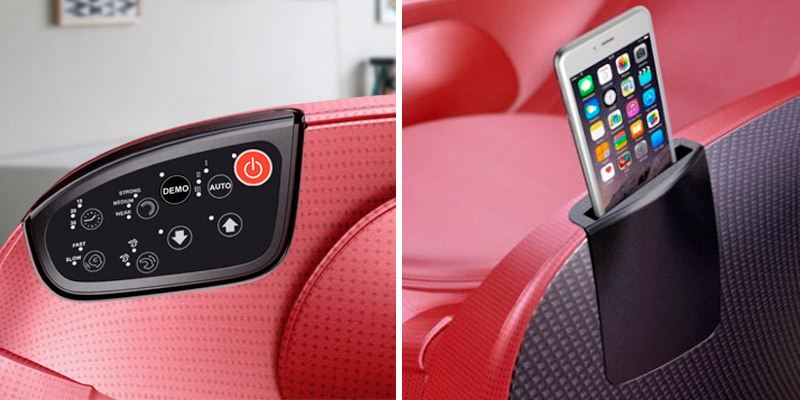 As per usual, this layer keeps you comfortable and makes the massage chair look stylish enough to fit any interior. Moving on to the model's functionality, we would like to start with the self-stopping function. Based on the user's height, the function automatically and, more often than not, perfectly adjusts the massage heads position. You can turn the automatic adjustment off and do it manually, by the way, though there will seldom be any need for it. Of course, at the end of the day, it is all about its massage prowess. 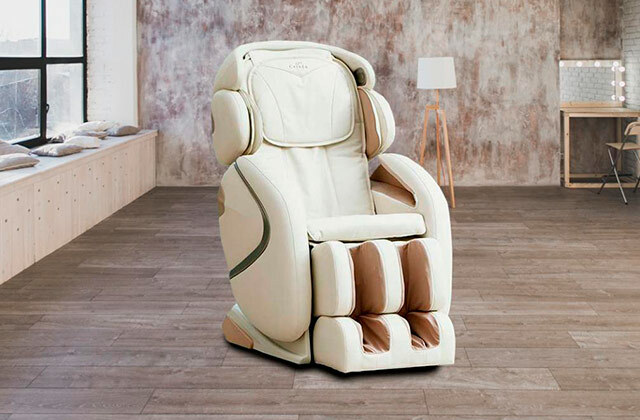 Long story short, the chair does not fall behind its more expensive counterparts and is able to deliver the most relaxing, invigorating, and powerful massage experience. To elaborate, let's go to the massage modes. First, there's the Kneading massage. Compressing your back, neck, and gluteus areas, this mode allows the massage chair to focus on the relaxation of the muscle mass. Stretch massage, as you'd imagine, is a little different. Using vertical movements, this mode excels at simulating that back stretching experience that you get at a quality massage parlour. The Flapping massage mode here is the usual deal and hardly requires much description. What we really like is combining flapping and kneading. This way, the chair gives you that perfect combination of slight blows (flapping) with kneading movements. Powerful but relaxing at the same time, this combo might just send you to cloud nine. 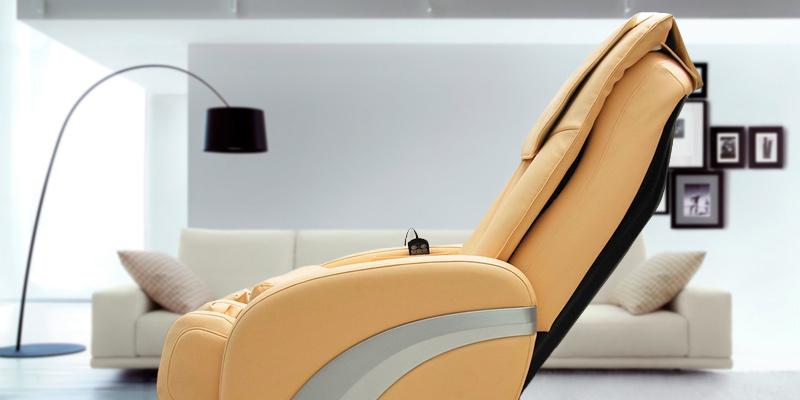 As it is always the case with Global Relax massage chairs, the model also features 3 intensity levels, so you'll be able to speed the massage heads up and slow them down whenever you please. 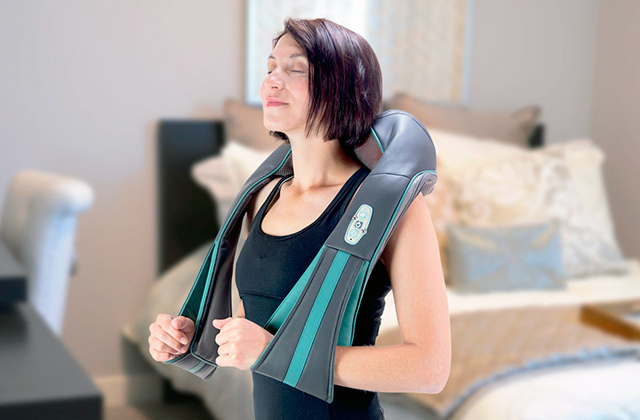 All things considered, Global Relax Karma is easily one of the most complete and well-balanced massage devices on the market today and definitely one of the better Global Relax products. It comes equipped with 5 automatic and 3 manual massage programs. It is able to adjust to any user, no matter the stature. First and foremost, HomCom UK71-00290331 stands out with its price. 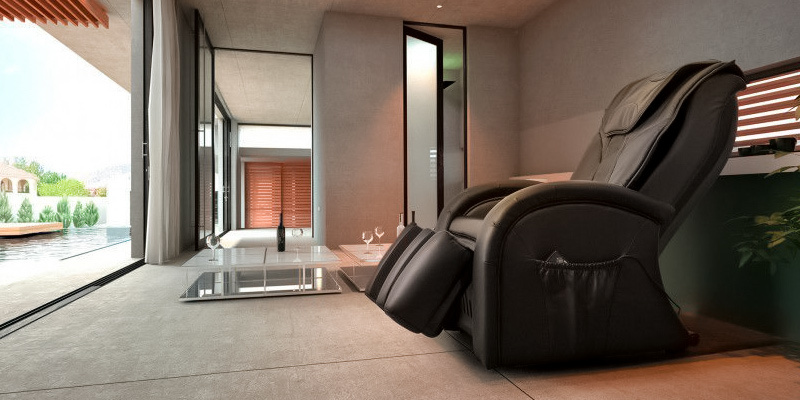 A complete, functional, and effective massage chair costs less than 700 pounds is an appealing offer, to say the least. For the most part, there isn't really that much that separates this model and high-end chairs. We have a few issues with it but none of these issues make a particularly noticeable difference in the long run. For example, we don't really like that the remote control pocket is located on the interior part of the side panel. But, as you'd imagine, that is hardly a dealbreaker and a minor inconvenience at worst. The model has plenty going for it. For one, it looks great. Its elegant classic beige cover will be able to seamlessly blend with contemporary, mid-century, or modern decor. Measuring 129 x 75 x 111 centimetres in overall dimensions, it is the smallest chair but not a large one as well. You should definitely be able to find enough space for it. Plus, the model weighs just 60 kilograms, which isn't a lot considering that it comes equipped with a footrest too. Add to that its castor wheels and moving the chair from one room to the other shouldn't prove much of a challenge. By the way, though the chair looks good and its light cover is supposed to be easily soiled, the model is surprisingly easy to clean. More often than not, you'll be able to wipe it clean with nothing but a wet cloth. The high-quality PU leather upholstery is comfortable, nice to the touch, and durable enough. 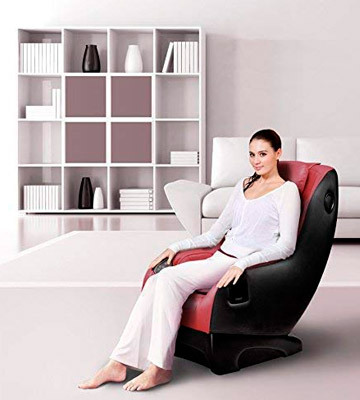 The people familiar with HOMCOM massage chairs won't find anything particularly surprising here. As per usual, the model comes equipped with an array of automatic and manual passage programs. It does a fairly good job replicating the Shiatsu finger pressure massage, allowing you to lose a little puffiness, reduce the feeling of fatigue, as well as improving your blood circulation. Speaking of blood circulation, the model incorporates 2 massage points and a heating function in the waist area. The former will help you relax, while the latter will also be able to improve your blood circulation. The kneading massage here is more or less the usual deal, no better or worse compared to any half-decent massage chair. The airbag and vibration massage functions, on the other hand, are surprisingly effective. Targeting your thighs and buttocks, they'll make you feel lighter, more rested, and more agile afterwards. 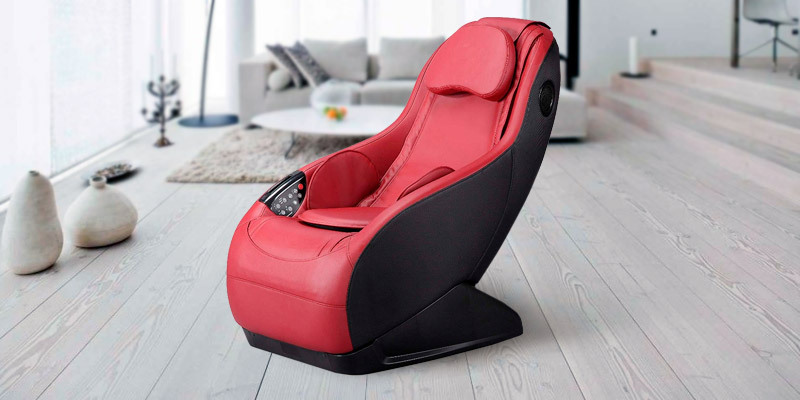 To sum it all up, HomCom UK71-00290331 is an affordable, mid-range massage chair that has the functionality and performance capable of rivalling high-end models. Among other things, this device automatically detects your shoulder position and performs micro adjustments to effectively target every problem area. 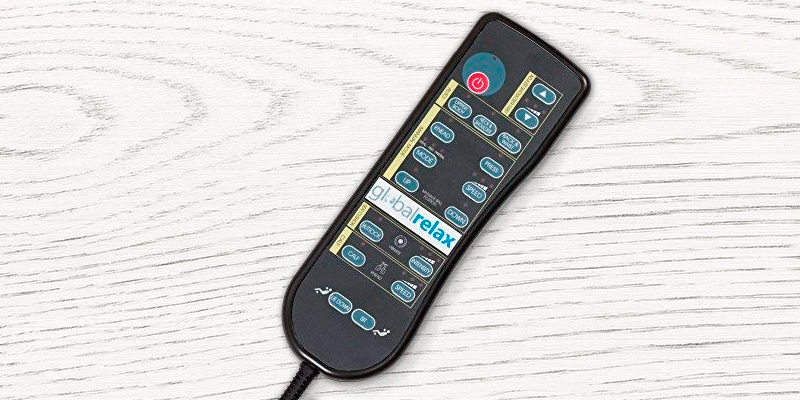 Global Relax, more than anything else, is a company that strives to deliver technical excellence with design solutions mirroring functionality and the latest Guru model is a good example of that philosophy. Now, it isn't a flawless product. For one, there is no footrest. Though we really like its high-tech, almost futuristic aesthetic, the plastic parts that are, in part, responsible for that futuristic look are susceptible to scratches, so you'll have to be a little more careful with it than people usually prefer to be with their chairs. 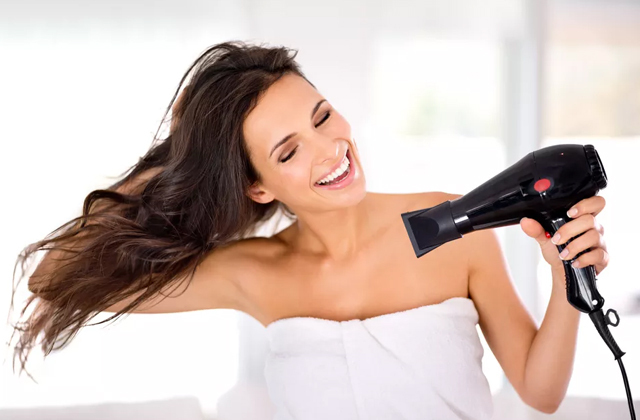 On the other hand, its curved and lengthy design is as ergonomic as they come, following the curvature of your spine to make you feel comfortable as well as make the massage rollers more effective. 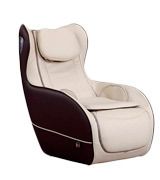 Now, it is a massage chair (duh) first and foremost, so its massage functions and capabilities are paramount. But we would like to pivot a little first and talk about other things. See, that high-tech aesthetic here isn't just aesthetic, it is the model's design through and through. That includes a control panel that is understandable and unobtrusive but thorough down to the last detail (well, as much as a control panel on a massage chair can be). Located on the interior side, it allows you to access the model's numerous features and functions without elevating your buttocks. 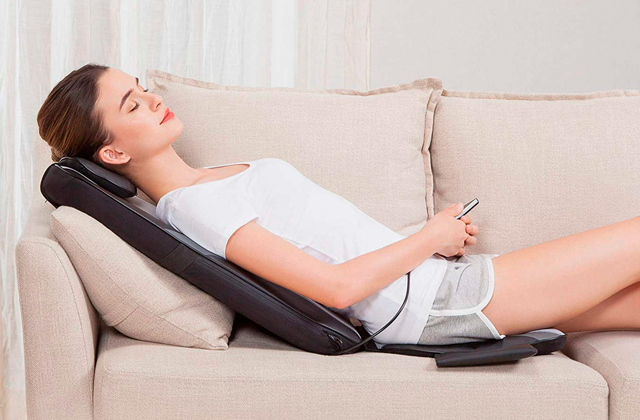 A Bluetooth speaker on a massage chair is nothing we haven't seen before. But Bluetooth speakers (plural) with 3D sound is a nice upgrade from the usual offer. These 3D speakers add a slight but noticeable touch of magic to your rest and relaxation. Don't care for controlling every little aspect and every part of the massage experience? That's completely fine, we aren't the biggest fans either. Instead, you can choose between 3 preset massage programs and set a timer to 15, 20, or 30 minutes. After that, you can kick back, relax, and enjoy the proverbial show. You can go with the pressotherapy massage on the back, choose the air compression (airbags) massage on the hips, buttocks, and thighs. The model makes it possible to combine them, use these modes separately, or alternate between the two. It allows you to choose between full body, upper, and lower massage functions. You can select between kneading, hitting (tapping), or compression massage. The chair also lets you switch between 3 intensity levels, from weak to medium to the strongest one. In closing, Global Relax Guru, measuring just 90 x 60 x 100 centimetres in overall dimensions with 30 kilograms in the weight department, is the most compact massage chair on this list. With its high-tech aesthetic and many functions, the model will fit technophiles as well as people who simply enjoy a quality massage therapy at home. MAXXUS MX 7.1 isn't a bad model. In fact, compared to most similar models in this price range, this is a really good product. That being said, we were still less impressed with it than we were with every other massage chair here, hence the last place on our list. The model falls behind its competition here due to a couple of reasons. First, the number of massage modes here is limited to just 2: kneading and tapping. That isn't bad and will be enough to satisfy your average customer but an extra massage mode or two definitely wouldn't hurt either. A less detrimental but one would argue a much more irritating flaw is the side panels. Though they do look really good, just like the chair in general, these things are just too narrow for our taste. There is barely enough space on them, so resting your hands on these panels isn't as comfortable as one'd hope for. Going back to that former point, however, we can't say that the model doesn't have an elegant and stylish aesthetic to it. With a genuine leather cover, it feels as fantastic as it looks. 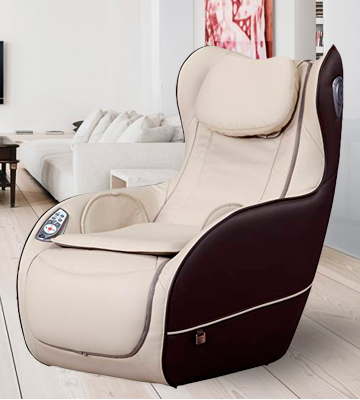 Modern and sophisticated, this massage chair will prove an excellent addition to any interior and will be able to add character to practically any room. Its champagne colour scheme with black sides will absolutely mesh well with modern and contemporary interiors. Now, we did mention the uncomfortable and impractical armrests for a reason. The reason is that, otherwise, this is a really snug and comfy chair. The headrest is huge, thick, and soft. 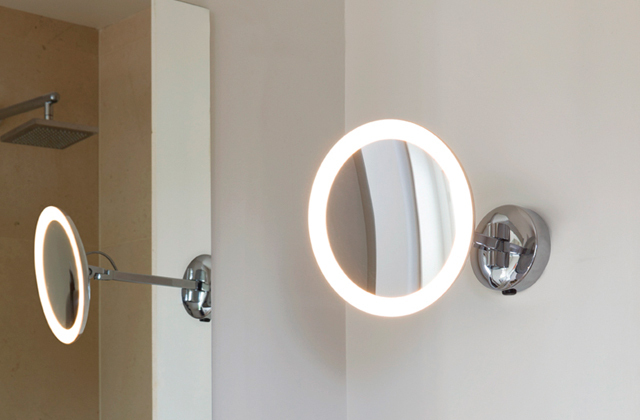 The built-in control panel is easily accessible, straightforward, and intuitive enough. Next to that panel, there's a cup holder, another lovely little addition to the convenience list. 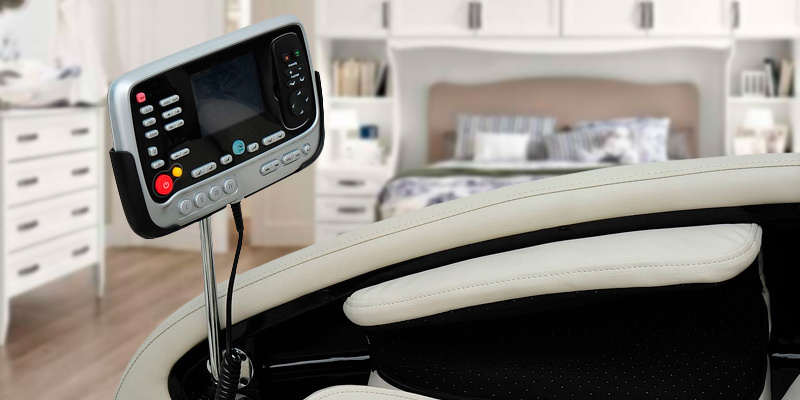 As per usual, the model comes equipped with a USB port, so you'll be able to kick back, relax, and enjoy a quality massage experience at home while your smartphone is charging right next to you. Can't relax without music? That's fine too. Equipped with a Bluetooth speaker, the model will allow you to connect the said smartphone via Bluetooth and blast your favourite score for you. What else is there to say? The massage zones aren't limited. The heating function is present too. The model weighs just 31 kilograms, so you can easily move it from one room to the other. What's more, its power consumption never goes above 60W, so it won't rack up your energy bills either. In short, there's a lot to like about MAXXUS MX 7.1 and not a whole lot to dislike. The chair looks fantastic, elegant and modern. It has a number of little details and design solution going for it. The model isn't too demanding maintenance-wise. Plus, equipped with transport wheels, you can easily move it around the house. Stress, apathy, and fatigue—the price we pay for our fast-paced modern life. Mental and physical stress reduction and relaxation are vital for our health. 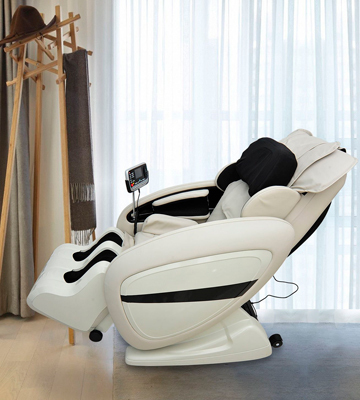 Innovative massage chairs are a result of common efforts of engineers and physicians. They are a high-quality alternative to manual massage sessions with similar health benefits. 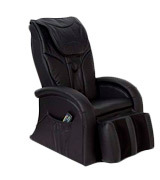 In fact, a good massage chair can replace a massage room since it features a wide variety of sensors and other mechanical elements covered by a smooth leather upholstery. It can please you with a professional massage, reducing the tension in your neck and back muscles, improving your blood circulation and metabolism. Furthermore, a massage chair can help prevent osteochondrosis and various spinal curvature disorders. 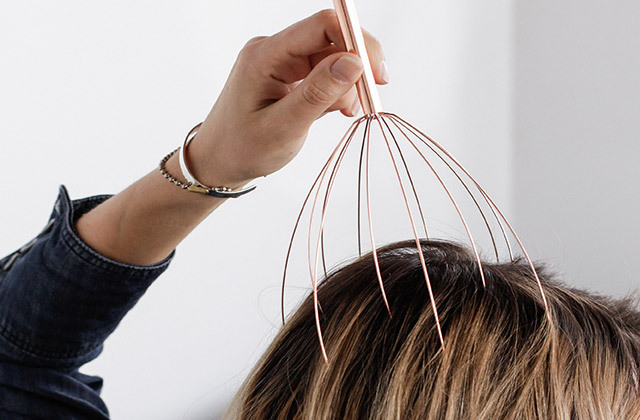 If you want to forget about stress, insomnia, and a chronic fatigue as soon as possible, you should purchase one of these massagers. In case you suffer from a backache, consider buying a back massager, it will relieve severe pain in muscles, improve good health, and prolong your youth! Don’t want to suffer from a killing pain in your feet at the end of the working day? In this case, foot massagers will become your salvation! 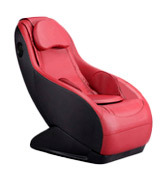 Modern market is saturated with various massage chair models. We recommend you to pay particular attention to the construction of such chairs to deliver a maximum level of comfort to your body. Massage chairs with airbags perform an excellent air compression body massage while stimulating blood circulation through all your body. Kneading perfectly stimulates blood circulation in your skin, muscles, and tissues. 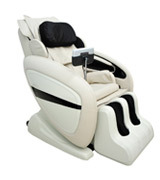 Massage chairs with rollers are great for Shiatsu kneading massage similar to a professional therapist's manipulation. Having undergone such procedure, you will get rid of fatigue and puffiness thereby experiencing a better blood circulation. Vibration motors can enrich your muscles with oxygen and stimulate vital processes in your organism. Massage chairs with the heat are excellent for those who'd like to improve muscles' elasticity and boost up energy in a short time. The chairs with massage elements arranged throughout the entire surface are commonly recognized as a universal option that can target literally all body zones including your neck, shoulders, back, lumbar, thighs, legs, and arms. 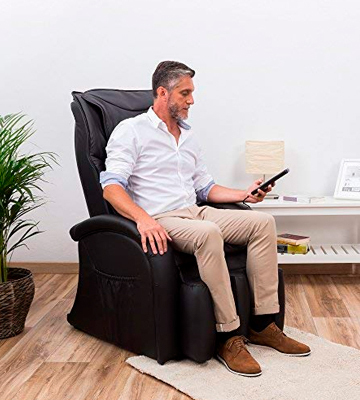 Massage chair will be your best home electronic assistant for recovery after intense gym workouts or a total body relaxation after a long working day. It is a must-have device for office workers and sports people. The functionality of a massage chair is also very important for making the right choice. When we talk about functionality, we imply the number and types of massage modes a chair has. Most of us are always exhausted at the end of the working day and relaxation is the only thing we need. If you opt for a chair with pre-programmed modes, you'll have a chance to vary intensity levels and set different massage types for different needs. Moreover, you can also soothe a specific body part or several at a time. With an embedded timer, you will be able to set the necessary massage session time. 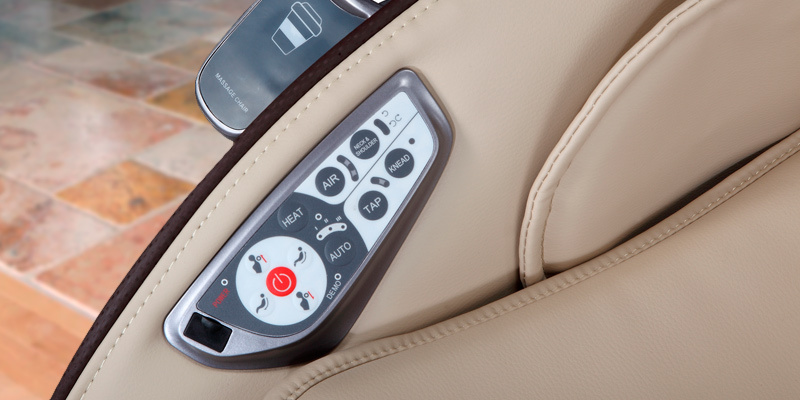 In addition, modern massage chairs often have an Auto-off function. Thus, don't worry if you suddenly fall asleep during a body kneading since the chair will end the massage on time. 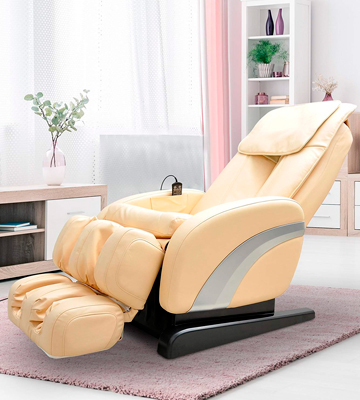 What’s more, owing to a recline angle adjustment you’ll be able to enjoy massage not only in a sitting position but also in a so-called “zero-gravity” pose. Due to this pioneering solution, you will experience a sensation as if you've denied the physics laws and got rid of a gravity pull. Great! Massage chair’s conveniences are the last major factor you should pay attention to before purchasing this item. Just think—some models have a convenient control panel, while others have a wired or wireless remote control. An LCD display and voice guide will make the maintenance of a construction very convenient. Owing to an embedded cup holder or an outlet, you will enjoy kneading while working on a laptop or watching TV. As to an upholstery, it has a direct impact on the appearance of a massage chair. The weight and dimensions of the construction define not only its steadiness but also the convenience of transportation. Since most models are equipped with casters, you can move them around your flat without scratching the floor. If you want to live a full life free from stress, it’s high time you bought a massage chair. Just select the one that would tick all the boxes for your requirements and enjoy the harmony of your body and soul! A: Shiatsu is a Japanese word which means finger pressure and that's basically the concept of this massage technique. It is a type of bodywork that is based on traditional Chinese medicine and includes stretching, joint manipulation, and joint mobilisation. A massage chair, of course, can't perform a proper palpation to examine your condition like a Shiatsu specialist would do, yet it has sensors and provides a remote for you to configure the pressure as you like it, whereas you can only give clues to your masseuse. A: It is a special position used by the astronauts during the take-off. Basically, it is about putting your feet above your heart to promote circulation and help your spine relax. This position is the most natural for human beings when we are totally relaxed or submerged in water. The purpose of the Zero-g feature in a massage chair is to enhance the effect of the massage since you are fully relaxed. Q: Does the massage provided by the chair feel mechanical? A: Although the goal of every manufacturer is to provide human like sensations and fluid movements, you will always tell it is not a therapist. It doesn't mean massage chairs are worse, the truth is that these are totally different cases. Some chairs sound too mechanical, though, and the excessive noise is bothering. Q: What is the power usage of a massage chair? A: It totally depends on the number of features your particular chair has. One might suggest that heaters consume much electricity but these are not kettles. Some models have a peak power of 230 Watts. Q: What elements can break? A: Any mechanical element can break due to the friction applied to it but usually in a good massage chair the materials are durable enough to provide a long life span if you don't overload it. As for the electronics, you should make sure the massage chair is plugged into a power strip or a surge protector. Not every manufacturer sells power boards for replacement, and, you know, caution is the parent of safety. Q: Why are these chairs so heavy? A: On the inside, every massage chair is a complex machine that also includes the cushioning and upholstery on the outside like a regular armchair has. Thus, they seem to be hefty. Nevertheless, extremely heavy massage chairs have wheels. 1. Massage chair, Wikipedia. December 19, 2016. 2. Massage Therapy Styles and Health Benefits, WebMD. 4. 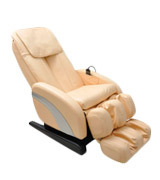 Cathy Wong What Should I Look for in a Massage Chair? Verywell. January 27, 2017. 5. Shelley Frost What Are the Benefits of Full Body Massage, LIVESTRONG. February 03, 2014. 6. Katharine Watts 6 Surprising Health Benefits of Massage Therapy, Best Health. 7. Peter J. Schubbe, DC Benefits of a Massage Chair, Spine-health. 8. Marion Mccants Pros and Cons of Getting a Massage Chair, EzineArticles.